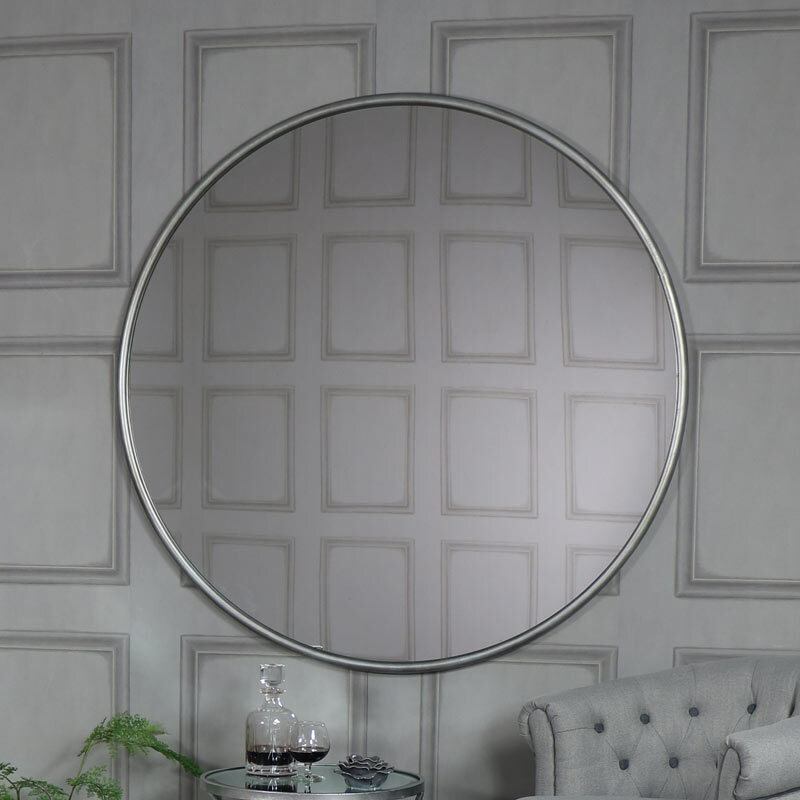 This Extra Large Round Silver Wall Mirror will definitely create an impact with its stunning antique silver metal frame and extra large design. Simple but extremely stylish, it would look amazing hung in the living room or hallway and definitely compliment any decor. Perfect for adding the 'WOW' factor and contemporary look in your home.